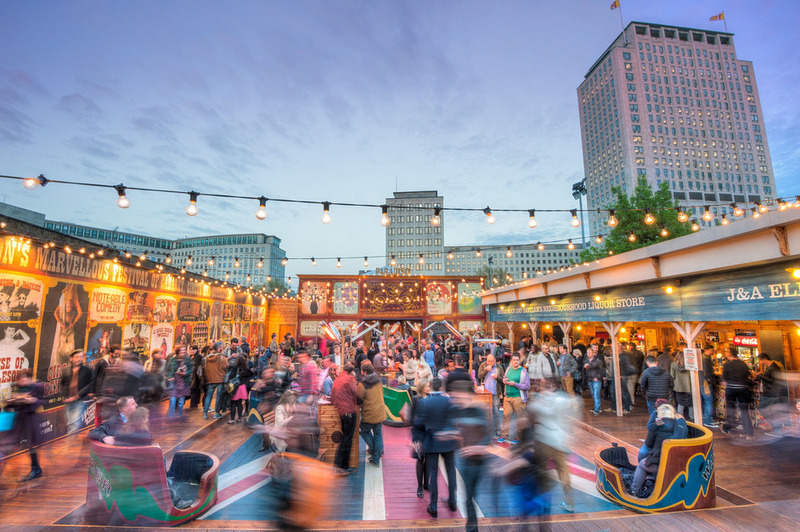 The splendid London Wonderground Spiegeltent returns for a fourth year, bringing Coney Island-style attractions and cabaret performed in the shadow of the Southbank Centre. Transforming the riverside site into an amusement ground, it entices visitors in with fairground rides, circus shows and a programme of international cabaret, music and fringe theatre. In its inaugural year, the festival drew over 800,000 visitors (including Madonna and 15 members of her entourage) and presented 277 different performances from 46 different acts. This year's line-up includes astonishing acrobatics from Barbu, bedroom installation Bedtime Stories, the larger-than-life Briefs and cabaret trailblazers the Black Cat Cabaret with Hotel Black Cat. What are the best dining options near London Wonderground London? London Wonderground gyms, sporting activities, health & beauty and fitness. The best pubs near London London Wonderground. London Wonderground clubs, bars, cabaret nights, casinos and interesting nightlife. Where to have your meeting, conference, exhibition, private dining or training course near London Wonderground. From cheap budget places to stay to luxury 5 star hotels see our deals for Underbelly Festival hotels, including Corinthia Hotel London from 97% off.